What do we know so far about what has happened and who is involved? In mid-July, another scandal rocked China’s healthcare system, this time the result of fraudulent quality-control reporting from Changchun Changsheng Biotechnology, the second-largest manufacturer of rabies vaccine in China. This was not Changsheng’s first quality issue. In November 2017 the China Food and Drug Administration (CFDA) exposed problems with two batches of DPT (diphtheria, pertussis, and tetanus) manufactured by the company. 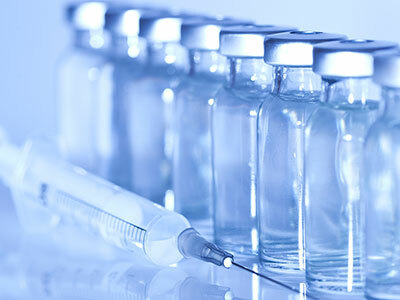 While conducting a surveillance audit at Changsheng in July 2018, the CFDA discovered that the documentation for approximately 113,000 rabies vaccines had been faked, and the company’s license to manufacture the rabies vaccine was revoked. Since mid-July, Changsheng has been fined $500,000 for the DPT problems, and over a dozen of the company’s leaders have been taken away by the police for questioning, including the chairwoman Gao Junfang. As of today, all vaccine production by Changsheng has been stopped, but outcry across China has grown. The Chinese public, long sensitive to access, quality, and cost issues for healthcare, sees this as yet another example of the government being unable—or unwilling—to exert the necessary controls on the pharmaceutical industry. What are some of the immediate impacts and implications of this scandal? Very few seasoned healthcare professionals are surprised that this happened. And I should note that we do anticipate that there will be a series of profound consolidations and shifts in the makeup of China’s domestic pharmaceutical manufacturing industry over the next five years. But this is a trend that was already underway and is not likely to be fundamentally altered by this incident. In terms of reputational risk, the damage that is done here will likely be limited to the public trust. On this point, the biggest short-term impact is going to be in China, where the bulk of Chinese-made pharmaceuticals are consumed. Chinese patients and families will ask more questions about who manufactured the products they are consuming or the vaccines being given to their children. Most policymakers and pharma executives anticipate these issues will go away in the medium to long term, largely as the CFDA’s surveillance and enforcement capabilities grow. However, should such high-profile quality-control issues continue to present themselves, the public will begin to ask why the Chinese government is not better able to regulate the sector. It does not take a lot of imagination to see a future where people stop blaming individual manufacturers and start blaming the government itself. How would you characterize the initial response from Xi Jinping and from the Chinese government more broadly? Thus far, the response from Xi has more or less been boilerplate; however, we likely have not heard the last of this story, or his response to it. This is the third vaccine scandal in eight years. Any scandal in China’s healthcare system carries disproportionate weight, given the political stakes involved in the country’s remedial public healthcare spending and attempts to address pervasive corruption issues. But a scandal of this nature around something that has real public health implications is not going to be taken lightly. Two additional key high-level realities are likely to drive an aggressive response. First is that healthcare overall has been a flashpoint in China’s domestic politics since the mid-2000s. What we have seen during this period is a number of very tense moments when the public’s mood could have shifted from blaming individual “greedy” manufacturers and doctors to blaming the Chinese government, which for so long failed to pay adequate attention to its spending on healthcare. The implication here is that Xi has taken, and will again take, action to redirect any negative sentiment that threatens his legacy. The second factor is that this particular scandal is playing out at a moment in time when Xi appears a bit vulnerable. Given the tensions in the U.S.-China relationship, and outstanding questions as to whether he or the Trump administration will blink first in their trade dispute, Xi cannot afford to look weak on domestic issues. If this assessment proves accurate, we are likely going to see the Xi administration very loudly crack down on the executives in question. And while this concern might sound overstated, it is easy to forget that it was only July 2007 when the former head of the State Food and Drug Administration (the CFDA’s predecessor), Zheng Xiaoyu, was executed for corruption. In late 2017, China’s put in place laws that allow for prison or execution if someone is found to have submitted falsified clinical trial data. In the vaccine scandal that is unfolding now, it appears that quality-control records were intentionally falsified. No doubt several of the dozen or so executives from Changsheng will pay the ultimate price in the aftermath to this scandal. You have previously spoken about the unique intersection between China’s healthcare economy and its industrial policies. To what extent is this intersection at play in this incident? Situations like the current vaccine scandal were inevitable in China. This is due in part to the historical lack of an empowered CFDA. Another factor is the twin desires of the government to reform and consolidate the country’s pharmaceutical-manufacturing sector while also promoting the life science industry as a cornerstone for the country’s expansion into innovative, high-tech industries. The bottom line is that the government recognizes that a highly fragmented pharmaceutical-manufacturing industry, characterized by the occasional high-profile quality-control failure, will fundamentally hurt the reputation of indigenous Chinese life science innovation. It should also be noted that the government has major investments in the domestic life science sector, which undeniably increases interest in minimizing reputational risks. However, in the case at hand I would hesitate to say that anyone other than the manufacturers themselves is at fault. They appear to have made deliberate choices to falsify records rather than bear the cost of increased regulatory surveillance. So if anything, this likely plays into the government’s hands to argue for ongoing additional authorities by the CFDA. You touched on China’s historical lack of an empowered CFDA. Does this scandal hint at unfinished business or is it indicative of a larger, unaddressed challenge? This scandal definitely hints at unfinished business. The CFDA, as it exists in its present form as a ministerial-level entity, is now just over five years old. An empowered CFDA with broader regulatory and enforcement authority pushes companies out of business that cannot meet required quality controls. China’s pharmaceutical sector needs to fully adopt global best practices in order to be taken seriously by consumers, investors, and public health decision-makers around the world. But the CFDA’s funding mechanism still heavily depends on submissions from multinationals and China’s emerging innovators rather than government funding. We are now beginning to see elements of the CFDA’s reform of its historically lax surveillance process come into play. Estimates by Credit Suisse are that nearly 1,500 of China’s small independent pharmaceutical-manufacturing companies will go out of business in the next five years. Much of this will happen as a direct result of the expanded regulatory powers of the CFDA and its requirement that domestic drug companies conduct clinical trials and obtain the appropriate approvals. In the grand scheme of things, this consolidation is a very necessary and good thing, for both the Chinese government and Chinese patients. But what this means is that until the industry consolidates, there will be a large number of companies under enormous cost pressures. These cost pressures are not only a function of increased regulation; they are also the byproduct of the industry coming under increasing pressure to make its pricing and distribution policies more transparent. Going forward, what are some of the ways in which China could strengthen its health and pharmaceutical safety standards? The right pressure point here that unifies the concerns of consumers, clinicians, and policymakers is within the CFDA. The question is what the government needs to do to ensure that the agency has the requisite enforcement capability across the country. Strategically, China has committed to do much of what will be expected of it, should the country realize its ambitions in the life science sector. Tactically, the CFDA will continue to need additional government-led investment. This investment should focus on technocratic capacity, largely within the part of the CFDA that deals with the process for reviewing drug applications. Unless government funding dramatically increases, the worry is that registration fees for new drugs could continue to rise. This would result in an unintentional barrier to market access (not aimed at foreign companies but rather at anyone trying to work within the CFDA’s rule set, including domestic innovators) that could lead companies to try to game the regulatory system. China has good exemplars to follow as it moves forward. Markets like those in South Korea and Japan have successfully dealt with regulatory issues that were once pervasive. In both countries, what was once a cumbersome and questionable approval process was improved by government policymakers who embraced reforms designed to foster the domestic life science sector. 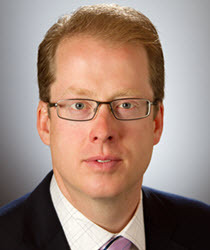 Benjamin Shobert is Director of Healthcare NExT Strategy and Business Development at Microsoft Artificial Intelligence and Research group, and a Lecturer in the Michael G. Foster School of Business at the University of Washington. He is also the Founder of the Seattle-based Rubicon Strategy Group and a Senior Associate for International Health at the National Bureau of Asian Research. He is the author of Blaming China: It Might Feel Good but It Won’t Fix America’s Economy (September 2018). This interview was conducted by Clara Gillispie, Senior Director, Trade, Economic, and Energy Affairs, at NBR.